Last night in the War Memorial Opera House, San Francisco Opera (SFO) gave the second of eight performances of the opera that opened the annual Summer Season, Giuseppe Verdi’s Rigoletto. This was the fourth revival of a production that was first performed in September of 1997. 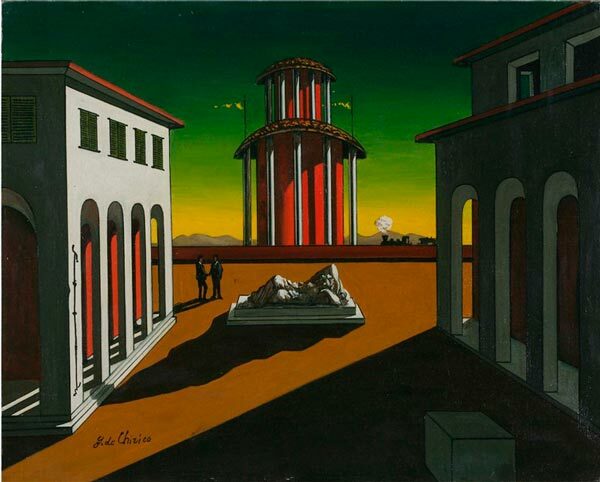 Even before the singing began, the dark tone of the opera was set by Michael Yeargan’s set designs, which were inspired by the chilling surrealism of Italian artist Giorgio de Chirico. One sees parallels in both shapes and colors. Gary Marder’s lighting design further played up that particular shade of red, which is only confined to the right in the above photograph. However, one also sees how Marder followed de Chirico in lending significance to the shadows. For this season’s production Rob Kearley made his SFO debut as stage director; and this involved some minor, but effective, tweaks to the original staging by Mark Lamos and the reworking in the last two productions by Harry Silverstein. The original lighting design was by Pat Collins, and there was a clear sense that Marder was retuning the lighting to suit Kearley’s approach. This was most evident at the beginning, when the climax of the fortissimo outbursts in Verdi’s prelude was originally underscored by a flash of bright light. Throughout his staging, Kearley was clearly going for the darkness; and Marder always found the right levels of light to match the mood of the staging. … I can tell you frankly that, good or bad as my notes may be, I don’t write them at random; I always managed to give them a character. Kelsey clearly understood how Rigoletto’s character lurked within Verdi’s notes. 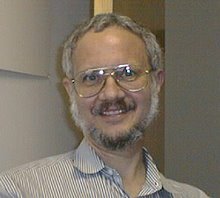 The result was that he held the key to making sure that the narrative of Francesco Maria Piave’s libretto was seriously dramatic, rather than merely melodramatic. Casting involved a generous representation of current Adler Fellows (who de facto are also Merola alumni). The lascivious Duke of Mantua was sung by tenor Pene Pati, while his brother Amitai, also a tenor, sang the role of one of the Duke’s courtiers, Matteo Borsa. 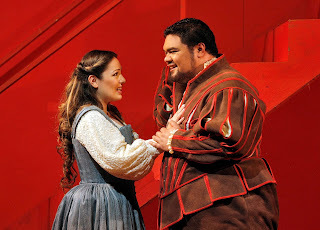 In addition soprano Amina Edris (who is married by Pene Pati) sang the role of the Countess Ceprano, the Duke’s prey at the beginning of the opera. Her cuckolded husband was than taken by bass Anthony Reed. Finally, baritone Andrew G. Manea sang the role of Marullo, one of the courtiers instrumental in stealing Rigoletto’s daughter Gilda for the Duke’s pleasure. 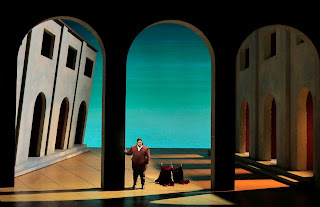 This production of Rigoletto thus came off as a coupling of highly imaginative staging with prime vocalists, all of whom recognized Verdi’s skill at establishing character through his music and delivered far more than admirably. In the orchestra pit Luisotti guided the music through all of the narrative’s sinister twists and turns. He knew where the key moments of shock value were and did not stint on the intensity of any of them. However, he made sure that the final horror of the conclusion rose above all previous “lesser peaks” of climax. Rigoletto may visit the War Memorial Auditorium stage frequently, but there was still an exciting freshness last night bringing together the best of the music and imaginative staging.